This trailer is a workshop trailer for electricians and saddlers. It is one of the numerous variants of the Anh. 350. 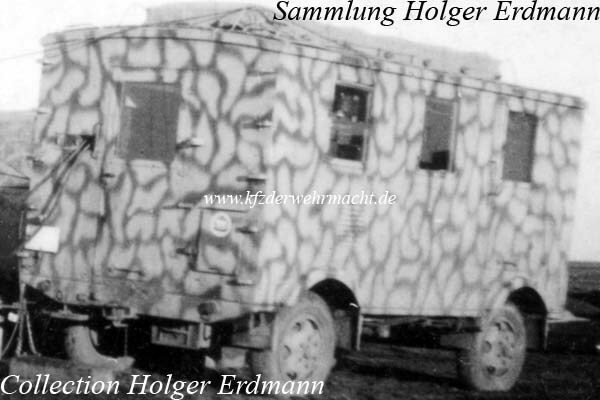 The trailer was used by I. FBK of KG 100. The photo was made in Odessa. The exact subvariant of these Anh. 350 could not be identified, too. 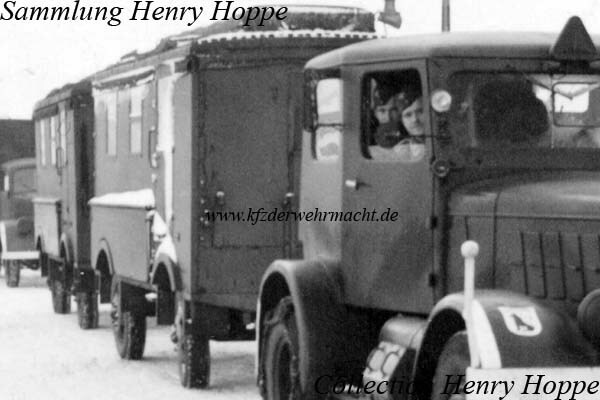 They were towed by a Hanomag SS 55 wheeled-tractor of KG 26.